CIDESCO, which stands for ‘Comite International d’Esthetique et de Cosmetologie’, is the world’s leading international beauty therapy Association. The CIDESCO qualification is the world’s most prestigious qualification in the field of Aesthetics and Beauty Therapy and is recognised in 33 countries worldwide. Founded in 1946 in Brussels, with its Head Office in Zurich, Switzerland, there are now over 250 CIDESCO schools across the world, all working to the critically acclaimed standards associated with the CIDESCO diploma. CIDESCO International has national Sections in 31 countries spread over the five continents. Structurally, CIDESCO has been constantly reviewing its policies and working to maintain such a high level of excellence in the Beauty industry. Any new policy decisions are made at the annual world congress, these are held in high esteem and are host to the most prestigious and leading names in beauty and aesthetics. There have been 61 world congresses in 25 countries since CIDESCO was founded in 1946, all noted within the history of CIDESCO. All schools that have been approved by CIDESCO International have to provide a training period of at least 1200 hours and must follow a training programme indicating the level of quality that CIDESCO International approved schools must adhere to. CIDESCO accredits Beauty Therapy Schools, Beauty and Spa centres every year, and they each must uphold the high standards of CIDESCO and be inspected by their professionally trained and accredited examiners. All organisations who hold the CIDESCO Accreditation are a symbol of quality and excellence, ensuring that those who use their services are guaranteed an international level of commitment like no other. 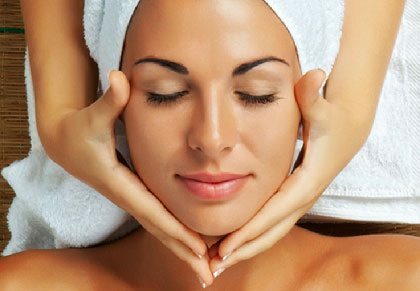 CIDESCO really is the most comprehensive and widely recognised beauty therapy Association available. Please click here to find our CIDESCO International Diploma training course.